At Melbourne Hand Rehab, treating hands is our passion and we love what we do. Our team of qualified hand therapists have been taking care of Melbourne’s hands for over 25 years, and during that time we’ve helped thousands of people get back to doing what they love after a hand injury or condition. Unlike general physiotherapists and occupational therapists, our qualified hand therapists have specialised training on treating hand, wrist and elbow conditions. We are also trained in making customised splints. In fact, most patients who need a splint receive theirs during their appointment. At Melbourne Hand Rehab, our highly skilled hand therapists undertake regular professional development training. Several of our hand therapists are also pursuing advanced postgraduate degrees in their field, including PhDs in bio-medicine and tendinopathy. Melbourne Hand Rehab is led by Karen Fitt, immediate past president of Australian Hand Therapy Association. Karen established Melbourne Hand Rehab over 25 years ago, and is regularly approached by professional associations and media to comment on hand therapy issues. Members of our team also volunteer with Interplast to train hand therapists overseas. 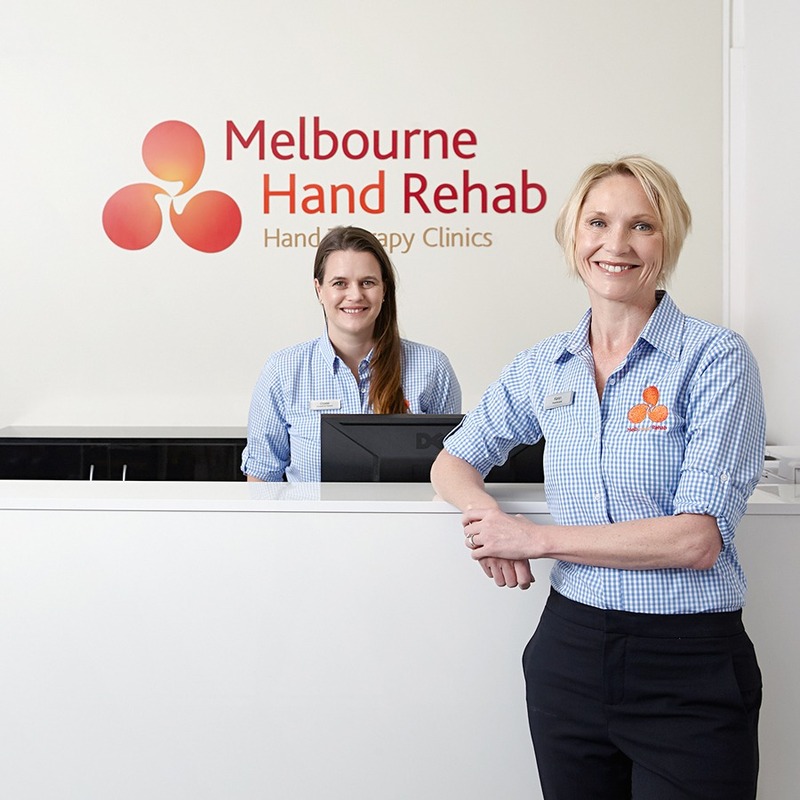 Melbourne Hand Rehab operates nine clinics, located throughout greater Melbourne. You’ll find our hand therapy clinics in: Melbourne, Richmond, Richmond – Victoria Park, North Essendon, Niddrie, Heidelberg Heights, Hoppers Crossing, Bundoora and Boronia.